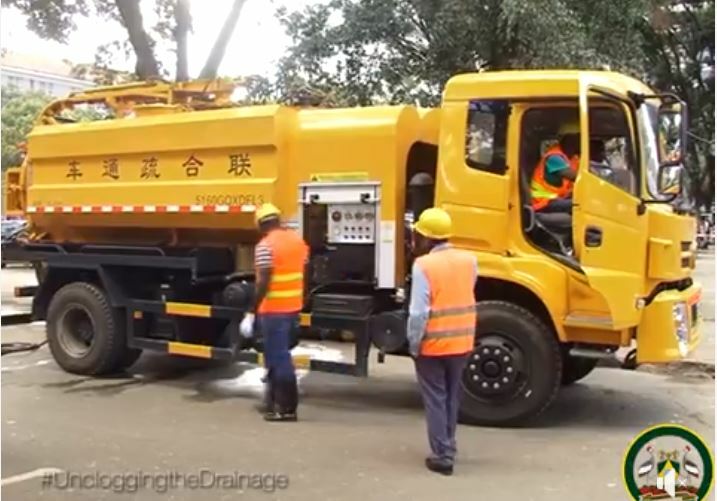 The Ministry of Transport and Infrastructure and the Nairobi County Government have teamed up to deliver a solution to Nairobi’s perennial drainage problems. 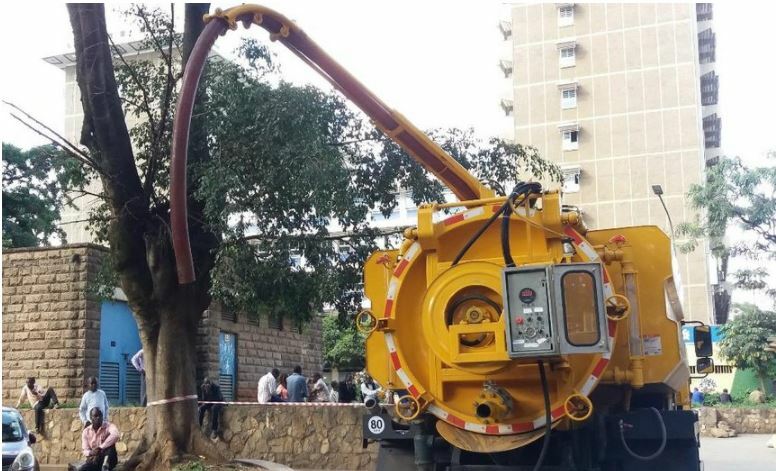 Transport CS James Macharia and Governor Sonko on Wednesday launched a stormwater drain flushing machine for unclogging drainage systems. The CS handed over the keys of the Sh25 Million truck to Sonko at the Sunken Car Park along Harambee Avenue. CS Macharia said unblocking of drainages is part of the projects funded by World Bank under the Nairobi Metropolitan Services Improvement Project ( NAMSIP). “The whole project costs around Sh500 million and Nairobi alone is allocated 75 per cent of the total amount,” Macharia said. The project started in December 2012 and is expected to be completed by end of May 2019. Sonko noted that the machine will work faster as no manual labour will be required. “The flushing machine is a modern machine used to clean and unclog the drainage system by radiant heating system. The exercise is done with the help of chemicals and high water pressure that has the capacity to deal with flooding disasters,” said Sonko. The launch comes barely a month after President Uhuru Kenyatta directed the Transport CS and Sonko to work together to improve the city’s drainage system.